The Prague Centre for Psychoanlytic Studies offers psychoanalytic and psychological courses on a wide range of topics. All courses are taught by Dr Joseph Dodds PhD, a certified psychoanalyst (IPA) and senior university lecturer (AAU, UNYP) with almost two decades of teaching experience and 15 years of clinical practice. All courses are based on existing university classes but have been developed here to be taken as shorter more focused seminar-based classes for smaller groups (maximum 6 people per group) to give each participant individual attention. As well as the course structure below, specific tailor-made workshops can be developed for you or your organisation based on need ranging from a single lecture or seminar to weekend and more extensive courses. These courses can be more theoretical, academic, clinical or applied. As stand alone courses they can be taken as a two day weekend course, but for those wishing to combine the foundation course with one or more of the other courses this can be arranged over a longer period. Please write here for more details. Foundation in Psychoanalysis - March 2-3 (12 hours). Foundation	in	Psychoanalysis and Certificate in Psychoanalysis of Art - March 1-3 (24 hours). These will take place at the Prague Centre for Psychoanalytic Studies, Prague Psychoanalytic Psychotherapy, in Prague, Czech Republic. If there is interest also in the Certificate in Psychoanalysis of Art course as well both modules can be run together as a single intensive course March 1-3. Please email for interest. The Prague Centre for Psychoanalytic Studies will soon begin an online journal and students who successfully complete courses are encouraged to submit their papers for consideration for publication in each of the areas below. Online learning options are currently being developed but at the moment the training is designed for courses taken in Prague. Those interested in this please send an email. For those not from Prague the two-day weekend courses can also include a cultural programme (such as concerts, art galleries, and films) integrated into the learning material, depending on time of year. This is an optional extra. The cost of each 12-hour weekend course is 12500 CZK (490 Euros). If you sign up for a full certificate course (two units) the price is 23000 CZK (895 Euros) in total. Group discounts if you have three or more people are available. This is a prerequisite for all the remaining courses (1). Taken as a single two day weekend course. Those who complete the foundation course can earn a certifcate in specific areas, including psychoanalytic applications to art (2), film (3), society (4), climate change (5), clinical practice (6) and neuroscience (7). For those who wish to take a certificate class at the same time as the foundation, this can be arranged either over a single four-day course or over two separate weekends. i. Aesthetics - Psychoanalysis of Art, Psychoanalysis and Film (1, 2, 3). ii. Social Theory - Psychoanalytic Society Theory, Climate Psychology (1, 4, 5). This course provides you with an introduction to the key theoretical concepts of psychoanalysis (Freud, Jung, Object Relations etc. ), and introduces their application in several domains, including clinical practice, art, society, and neuroscience. This course is compulsory for those wishing to take the later courses and is designed for psychologists, psychotherapists and those from other disciplines wishing to get a firm grounding in psychoanalytic thought. Prerequisites: None. This course is the main prerequisite of all other courses. Length of study: 12 hours of taught time (plus readings and assignments), taken as a two-day course over a weekend. For those who complete the foundation course we can go deeper into psychoanalytic approaches to aesthetics and art, including the psychoanalysis of aesthetic experience, studies of painting, literature, fairy tales, music and film, and also an introduction to the contemporary clincal practice of art therapy. This course studies the psychology of cinema from a psychoanalytic perspective and in addition explores what we can learn about the mind, culture and society through the movies. What is the relation between psyche and society? What is the link between the individual mind studied by psychoanalysis and our social and historical worlds? A range of psychoanalytic approaches to society and history will be studied and explored, including a focus on for example racism, the internet, holocaust, the economic crisis, the witch trials of the Early Modern era, and the psycho-social dimensions of climate change. The course studies the relationship between mind and nature from a variety of psychological perspectives to understand the environmental crisis, our relationship to nature and the nonhuman world, and the difficulties of psychological and social change. We shall apply a range of psychological methods and theories to the problem, including psychoanalytic, cognitive, ecopsychological, the nonlinear sciences of complexity and chaos, as well as philosophical approaches (from deep ecology to the geophilosophy of Deleuze and Guattari), together with new clinical applications from ecotherapy, and the newly developed Climate Psychology Alliance, helping to contribute towards a critical dialogue between psychology and ecology. The course focuses on psychoanalysis in clinical practice. It is not a stand-alone clinical training but is for psychologists and psychotherapists already in clinical practice to learn more about a range of different clinical traditions, theories and methods in psychoanalysis, including more recently developed focused techniques, and how it can deepen their clinical practice. 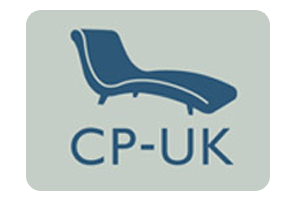 For those wishing to go deeper information on how to apply for a clinical training at a psychoanalytic institute will be provided, as well as focused training in areas such as Transference Focused Psychotherapy and Mentalisation Based Therapy. Those taking this course should be prepared to bring clinical material from their own practice for supervision and analysis in the group. The course is lead by a psychoanalyst (IPA). This course introduces the rapidly developing new interdisciplinary research field of neuropsychoanalysis, combing research from cognitive and affective neuroscience, developmental, experimental and evolutionary psychology, psychoanalysis, psychiatry and attachment research, helping to bridge the gap between biological and psychological perspectives. The course will present the findings and methodologies of state-of-the-art research on topics such as emotion, consciousness, the unconscious, love and attachment, dreams, memory and psychopathology, and introduces a fresh approach to the ancient problem of the relation between mind and brain. Those who complete the course can become members of the Prague Neuropsychoanalysis Group and are further encouraged to become members of the International Neuropsychoanalysis Association.